If you want a supercar, but think the Ferrari LaFerrari or Bugatti Veyron are too common, consider hopping a flight to Dubai. 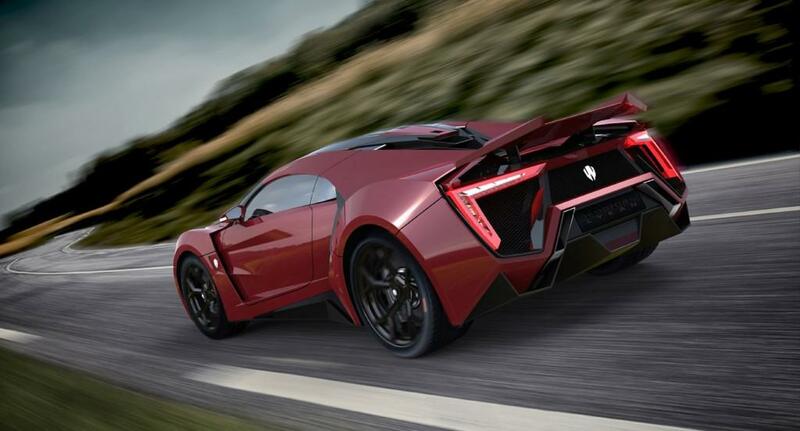 Last year, W Motors unveiled the Lykan Hypersport in concept form at the Dubai Motor Show. This year, it’s back with what it claims is the production version. Billed as the Middle East’s first supercar, the Hypersport will cost a staggering $3.4 million, and only seven will be made. At least you’ll never have to worry about seeing another one at the stoplight. Exclusivity can only justify so much, though. So what exactly will those lucky seven buyers get for their money? A diamond-encrusted cockpit, for one. We’re not sure if the Hypersport will have as many diamonds as the Rolls-Royce Celestial Phantom, but – since the bling appeared on the original concept – it does appear W Motors beat Rolls to the punch on this one. The Phantom doesn’t have the Hypersport’s holographic display, either. The car will be offered in two trim levels. The top-of-the-line Hypersport features a 3.7-liter turbocharged flat-six developed by legendary Porsche tuner Ruf. W Motors says it will be good for 750 horsepower, and can propel the Hypersport to 60 mph in 2.8 seconds, and on to a top speed of 245 mph. A “base” Supersport with a slightly less powerful version of the turbo flat-six will also be offered. That’s all very impressive, but, unfortunately, all that money can’t buy an attractive housing for that motor. The Hypersport kind of looks like a mid-engined Scion FR-S, drawn by someone who only had a ruler. At least those sharp angles will deter onlookers from touching the car. To sweeten the deal, owners will also get a bespoke Cyrus Klepcys watch, reportedly worth around $200,000. Most upstart supercars turn out to be vaporware, but the Lykan Hypersport has a few impressive endorsements on its resume. In addition to Ruf, W Motors has secured assistance from automotive supply giant Magna Steyr, and Italian design house Studio Torino. With those backers, the Hypersport appears to have a better chance of getting built, and giving someone the opportunity to test that 245 mph top-speed claim.